Amazon is an online retailer with its headquarters located in Seattle, Washington. The company offers an online platform for buyers and sellers, and it specializes in consumer electronics. Now, the company also manufactures electronic items like the popular Kindle e-book reader and the popular tablet, Kindle Fire. The company now offers cloud-computing services for its users. It operates a number of retail websites in different countries and also offer international shipping facility in other countries, where it does not operate a website. It is 1994, when the company started its functions and now it gas fulfillment centers and offices in different locations. There are currently 1 consumer reviews about Amazon available. Share your review. I HAVE RECIEVED 27 CHARGES TOTALING 1600 IUFROM AMAZON ,WITHOUT A PURCHASE. I KEEP GETTING A STATMENT FROPM AMAZON WEB THAT IT IS NOT THEM, MY BANK STATMENT SAYS DIFFERENT. CHECK YOUR ACCOUN DEPARTENT GOING SOME WHERE IN YOUR COMPANY. 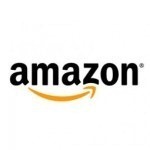 Please take a note that you are about to post a public review about Amazon corporate office on CorporateOffice.com. This review will be public, so please do not post any of your personal information on this website. If you would like to contact the corporate offices of Amazon, please use their contact information such as their phone number, website, and address listed above to contact them. However, sometimes staff from Amazon headquarters do read the reviews on this website.